Reminisant of the original Mego style, these new paintings were created by Tanner Monroe, at Mohawk Crew Studios, specifically for Figures Toy Company's Mad Monsters toy packaging design. These action figures are reproductions their 1970s counterpart. 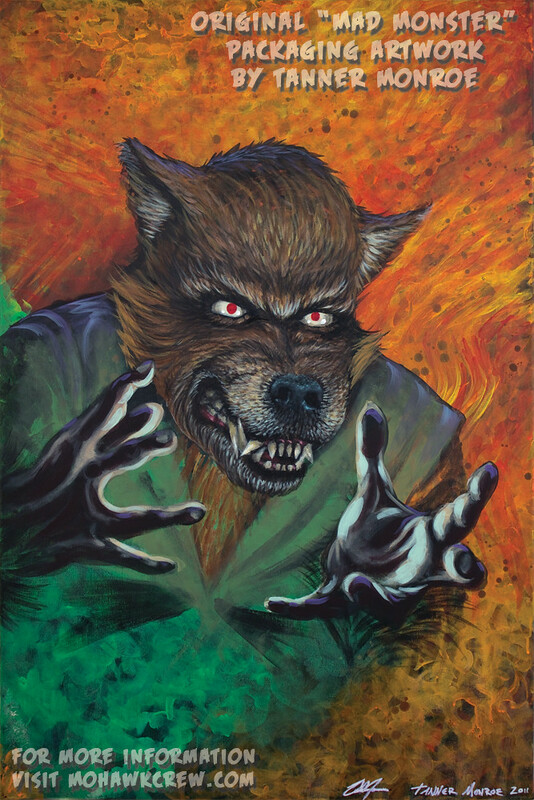 "The Human Wolfman" canvas art was inspired by the original series. A Special Thanks to my model and good friend Luigi Rivero aka, The Funny Man. Official product photography, graphic design, marketing, and merchandising by NenYao and Tanner Monroe.